Today’s Fortnite’s “extended downtime” has already kicked off to prepare for the release of patch 3.4. Epic Games previously said that Fortnite’s patch 3.4 is dropping today following extended maintenance. This is now underway, which should give you some time to mull over the changes in the patch. Epic did not say how long this downtime will last, but seeing as it called it extended, it’ll probably take longer than usual. 3.4 is a big update for Fortnite, so it’s understandable. It comes on the same day that Week 6 challenges begin, tasking players with climbing 10 mountain peaks and finding a hidden battle star between a Metal Bridge, Three Billboards and a Crashed Bus. 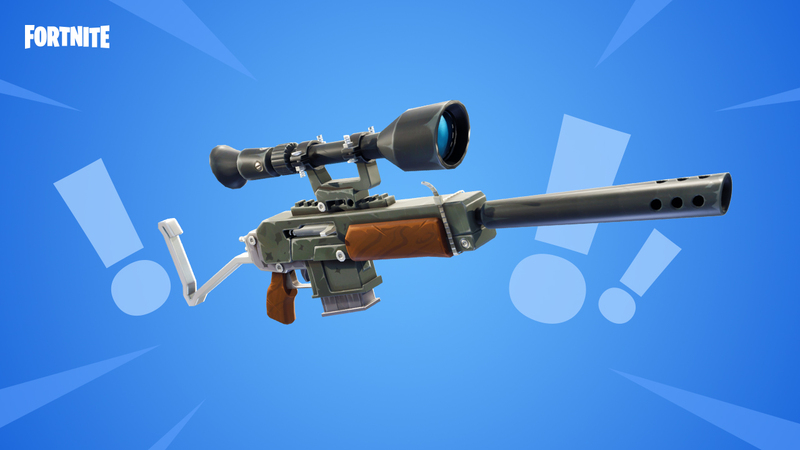 It not only adds the guided missile as a new weapon, it also brings a new version of Sniper Shootout, a new quest for the game’s Save the World PvE portion, and much more. Sniper Shootout v2 now features the recently added hunting rifle, and the crossbow – but the magnum has been removed. There is also no downed state in this mode, so it’s over if you get killed. To celebrate Easter, the grenade launcher has been turned into the egg launcher. This is only a cosmetic change, though. Outside of the new content, the update makes a few other noteworthy changes. It removes the 30fps mode from PS4, and Xbox One. The game will run at 60fps by default thanks to “significant” GPU optimisations. Rarity colours for shotguns have been adjusted to more closely represent their effectiveness. Tactical shotguns now come in common, uncommon, and rare variants. Pump shotguns are uncommon, and rare. This does not change their damage or drop rates. Check out all patch notes below. Adjusted rarity colours on Shotguns to more closely represent their effectiveness. Removed ‘more’ action from backpack and storage screens. This option wasn’t available on gamepad and hasn’t been designed for these screens.